Free at last Free at last were the words uttered by Dr. Martin Luther King Jr in his march to freedom to liberate his people from institutionalised segregation. But when it come about South Sudan they just coming out of institutionalized slavery. South Sudan became free at last from slavery on early Saturday, officially winning its independence from century old hegemony of the northern slave traders starting a successful insurgency in early 1950’s. The culmination of a January independence vote guaranteed in a 2005 peace deal that ended the most recent north-south war. . This is a day that many Sudanese must have thought would never come when it was almost immediately threatened by the death of the south’s leader, and Sudanese vice-president, John Garang, in a helicopter crash. As they say “Independence is an event, but it is also a process, slow and fraught with danger”. 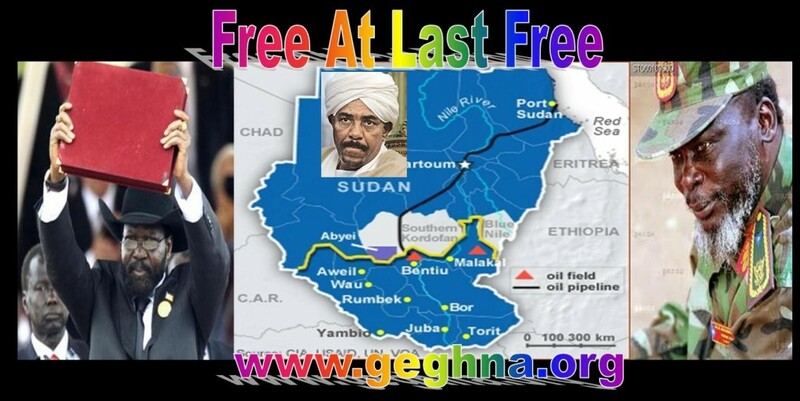 The problems of Abyie,Southern Kordofan and Blu Nile are still hanging , though the Sudanese leader Bashir was forced to accept the independence that he did not say his last words. Most of the over 40 ethnic groups are now armed by the enemy now a partner of the illusive peace, the Northern slave master the genocidal Omar Bashir. Thus, Juba the southern capital is just facing only the end of the beginning, and the future is a very uncertain place. Southern Sudan has a worst time bomb set to explode when their mutual enemy is 70 % out of the way tribalism, which is already working at maximum speed.